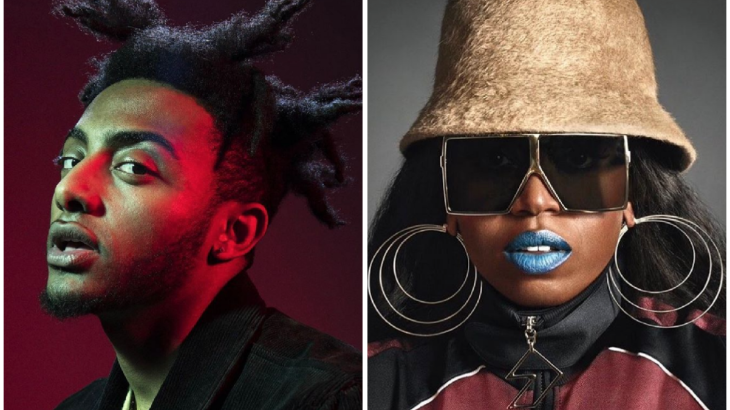 More than a year after releasing the original version of REDMERCEDES, Oregon-born rapper Aminé has released a remix featuring none other than Missy Elliott, as well as London rapper AJ Tracey. It’s a huge boost for the 23-year-old artist, whose original track was noted for taking clear influence from Elliott and other ’90s-early ’00s artists, particularly the stretched-out beats and sirens. The remix is a very welcome return for Elliott, who immediately (and obviously) steals the scene. Tracey’s guest verse rounds out the remix, his deeper voice and slick accent perfectly complementing Elliott and Aminé’s own tones. Back in January, Missy Elliott shared I’m Better, her first new single since 2015’s standalone WTF (Where They From). She also features on Mary J Blige’s new album Strength Of A Woman, contributing a guest verse to the track Glow Up, also featuring Quavo and DJ Khaled. This month, she also features on the cover of Elle, which comes with an in-depth new interview. 2017 also marks two decades since her groundbreaking debut album Supa Dupa Fly, which will be re-released later this year. Singles AJ Tracey, Aminé, Missy elliott. permalink.